Some say that John Calvin was not a Calvinist. In some regards, this is probably true. There are one or two points of Calvinism which John Calvin is less than clear about in his writings. In some places, he seems to say one thing, and in other places, he says the opposite. This is not too surprising, especially for someone who wrote as voluminously as did John Calvin. 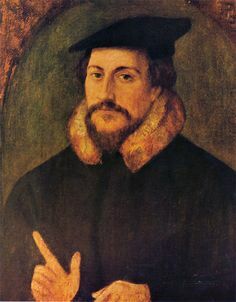 But the real reason we can say that John Calvin was truly not a Calvinist is because he himself did not develop the system of theology which bears his name. Several years after John Calvin died in 1564 (click here to see a brief history of John Calvin), a man named Jacobus Arminius traveled to Geneva to study under Theodore Beza, who was Calvin’s successor. 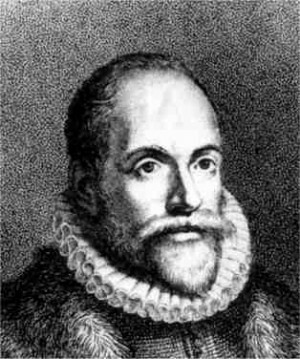 After Arminius completed his studies in 1587, he moved to Amsterdam to pastor a church there. As he as preaching through Romans in the years that followed, he developed several points of disagreement with the theology of John Calvin. In fact, it was actually in seeking to defend the teachings of Calvin against some detractors that led Arminius to have doubts of his own. So just as Luther and Calvin had sought to reform the church of their day, Arminius sought to reform Calvinism. After Jacobus Arminius died in 1609, some of his followers put together a document called “The Five Articles of Remonstrance.” In much the same way that Martin Luther had posted his 95 Theses on the church door in Wittenberg on October 31, 1517, for the purpose of stating his objections to the abuses he saw within the Roman Catholic Church and inviting church leaders to gather and discuss these items, so also, the Five Articles of Remonstrance were an invitation by the followers of Arminius to the followers of Calvin to gather for the purpose of discussing these issues. Instead, the followers of John Calvin met in Dordrecht, Netherlands from 1618 to 1619 and crafted what has become known as the Canons of Dort. This consisted of a point-by-point refutation and condemnation of the Five Articles of Remonstrance. TULIP Calvinism begins with the idea that mankind is completely sinful and cannot do anything to contribute to his salvation (Total Depravity). As a result, we are totally dependent upon God to initiate salvation for us, which He did in eternity past by choosing to save some, without any condition or merit on the part of those whom He chose (Unconditional Election). In order to accomplish this salvation of those whom He had previously chosen, God sent Jesus to die specifically and only for the sins of those whom He had chosen so that they might have eternal life (Limited Atonement). Those whom God has chosen, and for whom Christ died, will be irresistibly drawn by God’s grace into God’s family (Irresistible Grace). Since God’s will cannot be thwarted, none whom God has chosen, for whom Christ died, and whom were drawn and transformed by God’s grace, can ultimately be lost. They will all be glorified. Due to this gift of grace in their life, all who are delivered by God’s grace in this fashion will give evidence to it by living a life of perseverance in faith and good works (Perseverance of the Saints). A Sixth Point of Calvinism? The so-called sixth point of Calvinism, which of course is not mentioned in the five points above, but which undergirds them all, is the Sovereignty of God. One can see that God’s complete control over all things is behind each of the five points. God must be in control, and God must accomplish everything, from first to last, if humans are to have any hope of salvation, and if God is to be certain of defeating sin, death, and the devil in the ultimate end. Not all Calvinists will be happy with the brief summary above. I have tried to state the view as succinctly and clearly as I know how, and in fact, I tried to write that summary in a way that almost nobody could disagree with it—not even most non-Calvinists. If you are trying to figure out what Calvinism is all about, it is likely that as you read through that brief description of the five points of Calvinism, you though, “Yeah? So? That’s what I believe. That’s what the Bible teaches, isn’t it?” Yes, well, that is what this series of posts on Calvinism will seek to determine. Please do the same with the Arminians 5 points. Not familiar with those. Agreed! These seems to be relatively unknown in general compared to TULIP! Unless the ends of the Eggs intrinsically and passionately matter, it can be hard to well understand. Sometimes on Sundays, I am Gulliver in a foreign land. May the Big-Endians and Little-Endians explain in their own words. Just be sure their leave their weapons at the door. Thanks for the explanation. Is it possible to not fit too neatly into any camp? I think I need to read up on Calvin’s life and times as this would have influenced where his ideas came from and why they became popular. As for this “I follow Cavlin; I follow Aminius” argument, no need to recourse to a satirist. Didn’t Paul already deal with it? Yes, absolutely. In fact, I think that might be safest. Both camps will cry “foul” and say you have to pick one or other other, but this may not be necessary if you can accept various points of both groups and – here’s the key – follow Jesus in loving others. When I read the illustration of the failure of the Christian Arab in the face of ISIS, I thought how we read in the NT that the disciple Peter denied Jesus three times, out of fear. Peter failed to “carefully guard his faith “, after that Jesus dealt graciously and mercifully with Peter’s weakness and failure. In the Book of Joshua we read how Joshua encountered the Lord and asked if He was on their side or the enemy’s side, to which the reply came; neither, the Lord is on the Lord’s side. So I conclude that God is neither a Calvinist or an Arminian. There are a lot of things I puzzle over in matters of doctrine and knowledge, but in the end I just have to trust God to the best of my limited knowledge. ” Shall not the judge of all the earth do what is right ” said Abraham. Actually that’s similar to what many Calvinists would say. They would say proof of your salvation is perseverance and if you don’t persevere that’s proof you never were saved. Personally I don’t subscribe to the perseverance of the saints, but the preservation of the saints (Jude 1). When a person is saved they are in Christ, a new creation, indwelt and sealed unto the day of redemption. Renouncing Christ rather than having your throat slit will not take you out of Christ. I hope what you say is true, but this is one of the biggest doctrinal debates of at least the last 400 years. If sincere and learned theologians cant consistently discern the truth, what hope do I! I was reading recently for example that the theologian RC Sproul has just become a six day creationist having held to a different position for most of his teaching years. Many theologians still hold to theistic evolution and seek to try and read symbolic meaning into the first 11 chapters of Genesis to reconcile scripture with their understanding of how creation did actually occur. Correct doctrine is not as simple as the majority of Christianity seem to consider it to be. ” Just believe what the bible teaches” is the mantra on both sides of many doctrinal differences. The fact that different schools of thought have come to different conclusions after reading the same bible doesnt seem to register with many christians who effectively hold to the position “My doctrine is what the bible teaches so the other view is wrong”. Me, I am stepping back into a more objective position. I read the Bible, I see the verses that support Calvinism, I see the verses that support Arminianism. Somehow the two must be reconciled and the only way I have been able to do that is to allow the possibility of a believer who has received the Holy Spirit to be able to fall into unbelief through lack of perseverance, through a lack of guarding that which has been entrusted to them. That of course puts me into the Arminian camp. But, so many learned sincere people have come to a different conclusion? So, as a safeguard I allow for the possibility that Calvinism may be correct and I have simply not seen it yet. So what do I do for the here and now? Logic suggests I hold to that which seems to be the case, whilst allowing for the possibility I could be wrong due to a lack of understanding. Logic suggests I look for the safest position to hold to until full and clear understanding is acheived and I can with 100% confidence say, yes, the fundamentals of Calvinism are correct or yes, the fundamentals of Arminianism are correct. This is a logical position to hold to if you are a Calvinist as well who recognizes this dilemma of so many sincere believers coming to different conclusions. So what is the safest position to hold to until one is 100% sure? For me, it is a position that puts me in the Arminian camp. Allow for the possibility that a believer who has received the Holy Spirit can fall into unbelief and therefore guard yourself against that possibility. I hope that what you say ” Renouncing Christ rather than having your throat slit will not take you out of Christ” is true. But not only does my reading of scripture lead me to a different conclusion, where there is uncertainty about such a situation, the safer position is to consider the possibility that renouncing Christ will result in you losing your life and forfeiting your promise of salvation, and determine before hand that you will never renounce Christ even should people threaten you or your families life with death or torture. First of all God didn’t give His word for educated theologians. He gave His word for anyone who will believe. You can have just as much insight into the Bible as any seminary trained person. As a matter of fact education can blind you to truths of Scripture. I’m not against education, but just because a person has been to Bible college or seminary doesn’t elevate them above other believers or give them an inside to truth that others don’t have. After a person gets saved they need at least three foundations in their life if they’re going to grow. (3) Learn what it means to rightly divide the word of truth. If you don’t have a basic idea of how to rightly divide God’s word you will always be subject to be tossed to and fro, and carried about with every wind of doctrine. I refuse the idea that one must be a Calvinist or Arminian. I am neither. The Bible doesn’t teach that God chose or elected who would be saved, but it does teach that once a person is saved they stay saved because they are kept by the power of God and not their efforts. The idea that Jesus’ death and resurrection is not enough to save a person and keep them saved borders on blasphemy. Good! You are more astute than the average person in the average church! Ha! Good kickoff Jeremy. Of course not all Calvinists will support your summary 100% – after all, there are numerous denominations in the Calvinist environment (as there are in other groups), and it is really not because of the unity among themselves! And according to a Barna Group research report (Dec 2004, I think), 49% of Protestant pastors in the USA did not have a biblical worldview. In one particular and well-known denomination it was as high as 72% or 73%. Yes, that is true. There are many shades and varieties of Calvinism, and even then, there is no way to summarize Calvinism that all Calvinists will be content with. But such is theology and life! AW Tozer on the Calvinism Arminianism debate. Submitted for your prayerful consideration. Snyder, James L. The Life of A. W. Tozer: In Pursuit of God. Ventura, California, USA: Regal, 2009. Unfortunately Craig Giddens you demonstrate some of the very roots of the Calvinism/Arminianism debate problem. You can declare yourself non calvinist or non arminian all you like, the fact is your position on how one becomes saved is in the Arminian camp, and your position on the permanency of salvation is in the Calvinist camp. So instead of being neither Calvinist or Arminian, you are actually both. As for your statement ” The idea that Jesus’ death and resurrection is not enough to save a person and keep them saved borders on blasphemy.” That I suggest is a dangerous statement to make. If you are wrong then “…the same way you judge others, you will be judged, and with the measure you use, it will be measured to you. Matt 7:2 Therefor you who have accused others of borderline blasphemy, may in fact be guilty of borderline blasphemy if in fact you are wrong. This includes misunderstanding what people are saying. Arminians do believe that “… Jesus’ death and resurrection are enough to save a person and keep them saved”. What Arminians do not believe is that Jesus keeps people in Him against their free will. There are plenty of scriptures that on their own and together, build up the Calvinistic argument of once a believer always a believer. The problem is there are plenty of scriptures that build up the Arminian argument that true believers can and sometimes will turn away or fall away into unbelief of their own free will. That is one of the main Calvinism/Arminianism dilemmas. Scriptures seems to say two contradicting points of view. This of course cannot be the case so typically, especially among blind faith believers, people will align themselves with one or the other and argue passionately for the view they have become convinced (or want) to be true whilst more objective believers such as AW Tozer and CS Lewis recognize the dilemma. I am quite willing to give a defense to my God as to why I have familiarised myself with both arguments and concluded that for me, I cannot yet see a clear cut winner; that the argument over free will concerning how one becomes a christian in the first place is not that big an issue, but the issue of whether people can fall into unbelief is one that is very serious hence the repeated warnings in scripture about falling away. I will quite willingly explain to God that in the absence of 100% certainty, I guarded my faith as scripture warned time and again-something that is not necessary if God keeps people safe even from themselves and the exercise of their free will that he gave man in the garden of Eden. Then you will say, “Branches were broken off so that I might be grafted in.” That is true. They were broken off because of their unbelief, but you stand fast through faith. So do not become proud, but fear. For if God did not spare the natural branches, neither will he spare you. Note then the kindness and the severity of God: severity toward those who have fallen, but God’s kindness to you, provided you continue in his kindness. Otherwise you too will be cut off. You need to become more of a student of the Bible and less a student of theology. No doubt that both Calvinism and Arminianism have many elements of truth, but you are still under the false impression that all believers must be categorized as one or the other when in fact a person can be neither. Just because I believe in the eternal security of the believer doesn’t make me a Calvinist and just because I don’t believe God chose or elected who would be saved doesn’t make me an Arminian or any combo of the two. I’m not trying to be mean spirited, but if you or anyone else thinks that all believers must be a Calvinist or Arminian then you are blinded by false theology. The Bible specifically teaches that all believers are baptized into Christ (1 Corinthians 12:13). Never is there a warning about a believer being taken out of Christ or by their own will leaving being in Christ. According to Romans 6 this baptism includes being baptized into Christ’s death, burial, and resurrection. It’s never said to be something that can be reversed. The Bible specifically teaches that when we get saved we become new creatures (2 Cor. 5:17). Never is there a warning about slipping from being the new creature in Christ back to the old creature in Adam. The Bible specifically teaches that all believers are sealed by the Spirit unto the day of redemption (Ephesians 4:30). Never is there a warning about losing the seal of the Holy Spirit or the believer taking away the seal of the Holy Spirit. . The sealing of the Holy Spirit is an act of God that guarantees (Ephesians 1:13-14) we belong to Him unto the day of redemption which is when we get our new bodies. The Bible specifically teaches that righteousness of Christ is imputed to us (2 Cor. 5:21). Never does the Bible teach anywhere that we can lose His righteousness or walk away from it. Romans 11:19-22 ESV Romans 9-11 is talking about God’s plan for Israel and how the church was grafted in. Eventually the church will go into apostasy. True believers will be raptured away leaving a false church on earth. According to the context this is not a dissertation on individual believers. Hebrews 6:4-6 ESV This passage is saying IF a person could lose their salvation the only way they could be restored would be for Jesus to die again which isn’t going to happen since His death once and for all suffices. If you use this passage for losing salvation then you must conclude once a person loses it they can never get it back. Note Hebrews 9:12 – Neither by the blood of goats and calves, but by his own blood he entered in once into the holy place, having obtained eternal redemption for us. If you could lose it it wouldn’t be eternal. 2 Peter 2:20-22 ESV These are false teachers who were never saved. Matthew 24:10-13 ESV The Church is not present in the discussion in Matthew 24. Jesus is talking to Jews about when God deals with Israel during the Tribulation. Notice the wording of the entire text. 1 Timothy 4:16 ESV Save from what …. sins or is he talking about saving from false teaching? Always check the context when you see the word “save”. James 5:19-20 ESV This is not a person losing their salvation. The death discussed here is God’s chastisement on believer who won’t repent. 1 Corinthians 9:27 ESV Disqualified from what …. salvation or disqualified from the ministry? John 15:1-27 ESV Yes it is awfully similar to Romans 11, but here Jesus is talking to Jews who have believed during His earthly ministry but before He went to the cross. He hasn’t yet died for their sins so they have not yet been saved, born again, and sealed with the Holy Spirit. He is teaching His fellow Jews that they must abandon their empty religion and embrace and abide in Him. I know this goes against your theology, but you have to choose between your theology and being a Bible student. Hebrews 10:26-29 ESV This is about lost people who refuse Jesus’ sacrifice and continue in their sins. I think you are right about the problem Craig. For some reason there is this strange assumption that Christians are required to declare their allegiance to Calvin or Arminius. And Mr Myers has been at pains to explain the same thing, it is a false choice, we follow Christ. Jesus had to contend with the same thing about false assumptions. Jesus commented that because John the Baptist was a loner, John was called a weirdo , because Jesus mingled with people and socialised, Jesus was called a drunk and a party animal. People seem to love to make neat compartments and when I look at God and the bible, these refuse to fit into a neat system of definitions. Paul tells his readers to be transformed by the renewing of their minds, perhaps we might take this to mean transformed from the usual assumptions of the crowd.